Education Services at the Montreal Children’s Hospital (MCH) is a small but important department made up of five full-time elementary and high school-level teachers employed by the Commission scolaire de Montréal (CSDM) and the English Montreal School Board (EMSB). 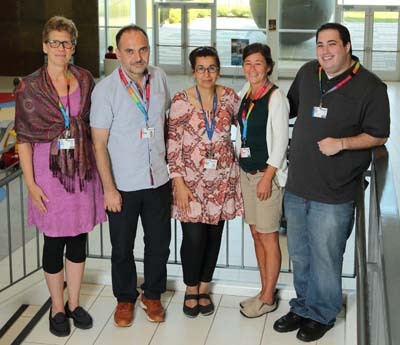 Sylvie Dubuc, Sahmadia Bouhend, Katy Desrochers, Peter Tsatoumas, and David Weiss are the teachers who, through education and curriculum, offer our patients a chance to keep some routine in their lives when their days are anything but. On May 3, a few weeks before Marvin’s 18th birthday, Sylvie walked into the hemodialysis unit to get to work with him. “He was covered head-to-toe in white blankets and I remarked that he looked like an angel,” she says. “When I asked if he was ready to work, he said he hadn’t been served lunch yet. We both thought it was strange considering it was already 1:00.” The two agreed to postpone the lesson until after Marvin had something to eat. Their work together did not come to an end after his surgery. Once Marvin was moved from the ICU onto B.07 North to recover, Sylvie and her colleagues continued their lessons with him. 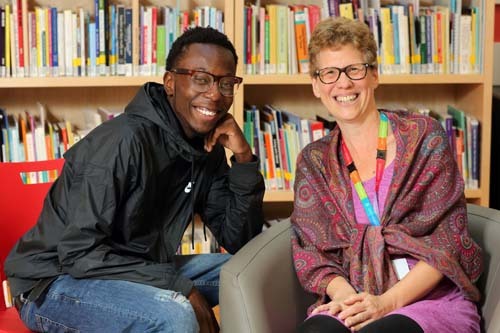 For more than a year, through hemodialysis treatments and recovery from a kidney transplant, Marvin worked with his teachers and developed a discipline that paid off. “I passed my year and I am proud of it,” he says. Marvin acknowledges the important role School Services played in his success, and he is grateful. “I really want to thank my teachers—they were there to help me.” Marvin is still in school and is doing well. Every now and again he sends Sylvie a text message asking her a homework-related question, and she gladly replies. When asked what his plans are for the future, he says, “I want to become a physiotherapist, it’s something that interests me.” He also entertains the thought of maybe, one day, working at the Children’s.